Prime Minister Imran Khan recently said that only two tobacco companies, with a market share of around 60%, contribute 98% of the tobacco tax collection, whereas all other tobacco companies operating locally contribute only 2% to the national exchequer, despite having a market share of about 40%. The legal cigarette industry in Pakistan comprises of two multinational companies, which contributed Rs89 billion in excise duties and taxes during fiscal year 2017-18, making up 98% of the cigarette excise revenue despite a market share of only 67%. 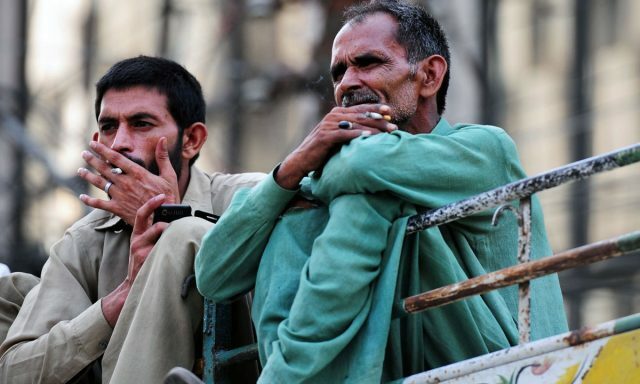 The tobacco industry in Pakistan faces a critical challenge with the wide presence of non-tax paid cigarettes, which reached a record high market share of over 41% during fiscal year 2016-17. The primary source of these non-tax paid cigarettes is locally manufactured tax-evaded cigarettes, which were selling at a price gap of almost 170% versus the tax-paid legal cigarettes in 2016-17. Given the growth of incidents of illicit cigarettes to over 40%, the third tier for cigarette excise was introduced as a policy measure in 2017-18 to curb the illicit trade by reducing the price gap and this resulted in reducing the market share of illicit cigarettes to 33%. In addition to evading tax, local manufacturers are seen to be blatantly violating marketing regulations through advertisements, discounts, cashback or giveaways to consumers. Locally manufactured cigarettes, despite adhering to printing regulations such as health warnings and minimum price on packs, are being sold at street prices even below the minimum tax payable on a pack. During the latest fiscal budget in May 2018 and subsequent supplementary budget in September 2018, the excise duty was increased by almost 56% thus once again widening the price gap between legal and tax-evaded cigarettes. With low disposable income, the consumers of legal cigarettes will be unable to absorb multiple tax and price increases and will shift their consumption to cheap illicit cigarettes, making the task of enforcement against these illicit operators increasingly difficult. Currently, tax evasion in the illicit cigarette trade is over Rs35 billion each year. Rather than introducing additional taxes on an already highly taxed sector, the focus should be on fighting illicit trade and increase excise revenue from the sector by Rs35 billion by enforcement on the illicit manufacturers. Such excessive and ad-hoc measures shatter investor confidence, compromising the foreign direct investment which is already very low. As per the OICCI Business Confidence Index, business confidence in 2018 has fallen to 14% as compared to 21% from November 2017. The lack of a level playing field and unpredictable fiscal and regulatory environment discourages foreign investment and also downgrades country credit rating.